Join us for the 6th edition of the Mt. Juliet Holiday Half Marathon and 5k! Enjoy a later than normal start as these runs lead the Mt. Juliet Christmas Parade. Feel free to show your holiday spirit by wearing some festive attire! 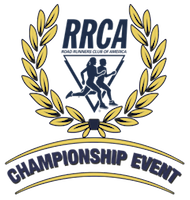 We are excited to receive the honor of hosting the 2019 RRCA Tennessee State 5k Championship. The 5k will feature special RRCA State Championship awards, in addition to the usual awesome Team Magic awards and swag! Christmas with a Cop will serve as our charity partner for the 6th year. The Mt. Juliet Police Department is sponsoring less-fortunate children to take Christmas shopping this holiday season in its Christmas With a Cop program. This is the 14th year for the Christmas With a Cop program. An increasing number of families in our community are in great need throughout the year, but with the Christmas season approaching, that need is more difficult to face. The Mt. Juliet Police Christmas With A Cop program focuses on assisting families in need for the holidays by inviting children and families in the community to shop with a Mt. Juliet Police Officer for gifts for themselves and loved ones. For one night, children and families are given undivided positive attention, making them feel special in a way many of them have not previously experienced. The program is funded through donations from local businesses and community members, as well as funds from the Mt. Juliet Police Department. A portion of your entry fee will go towards this special program. "Like" our Facebook page for event updates and use #MJH on any social media!